With heavily enameled birds perched on gilt and silvered branches and foliage. Unusual gilt tiger handles. 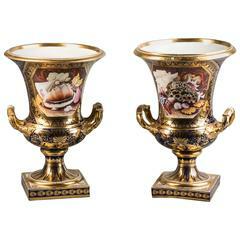 Pair of English porcelain vases, Derby, circa 1820 with shells. 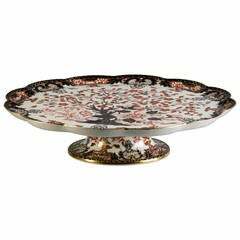 English porcelain "Lazy Susan," derby crown, circa 1880. 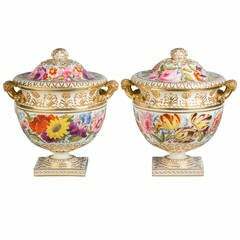 Exceptional Chinese porcelain planters circa 1900 Rosewood original pedestals. Porcelain measures: Height: 26 cm. Diameter: 60 cm. Total height: 139 cm.